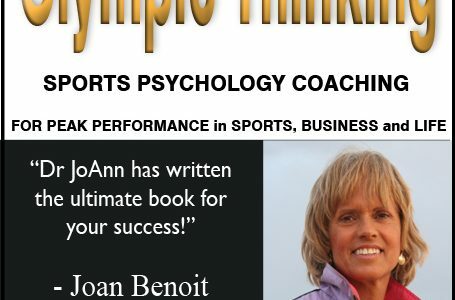 Sports psychology performance coaching and mental training, visualizations, for athletes and coaches at all levels, coaches, business entrepreneurs, Olympians, sports parents and peak performers for success in sports, business, and life. How are power words Used? Why is Relaxation so Essential for Athletes? 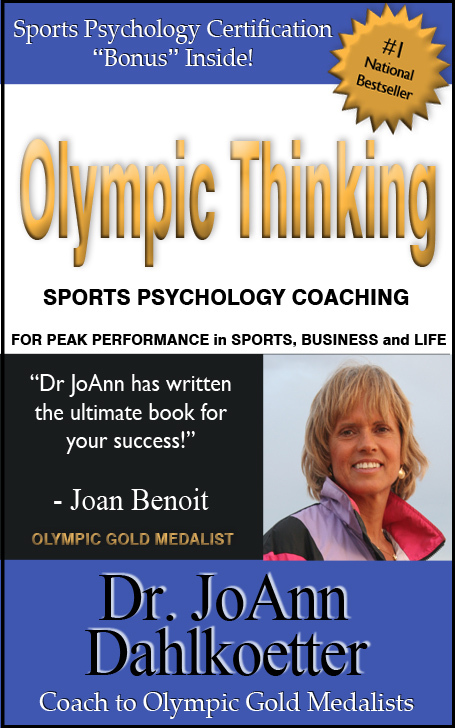 As seen on NBC-TV Olympics, Oprah, ABC, Fox News, incredibly powerful, practical, and motivating, Olympic Thinking: Sports Psychology Coaching for Peak Performance in Sports, Business, and Life is filled with easy-to-follow steps, engaging stories and profound wisdom have made Dr. JoAnn Dahlkoetter our trusted expert on personal performance. Corporations and health-fitness industry professionals worldwide use her #1 national best-selling books and audio programs as their standard reference. Now using a unique and effective method, Dr. JoAnn offers you a proven, success-oriented program that helps you achieve major breakthroughs in every area of your life. This book presents a comprehensive step-by-step program, with the latest psychology tools for optimal mind-body performance. Focus your energies, overcome obstacles to excellence, and perform your best. 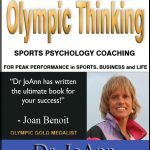 Dr. JoAnn Dahlkoetter is aStanfordUniversitymedical center trained, licensed psychologist and Olympic Performance Executive coach. Her clients include Olympic gold medalists, CEOs, and other peak performers. As winner of the San Francisco marathon and second in the world championship Hawaii Ironman triathlon, Dr. JoAnn is an in demand keynote speaker and TV expert commentator who has appeared on Oprah, ABC, NBC, and BBC, networks.